Join our CTCT Charity bond! Cycle for Team Amy! 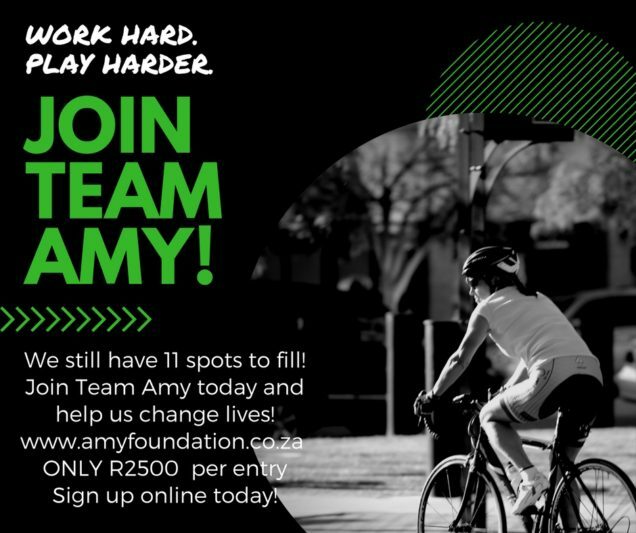 Join Team Amy for the Cape Town Cycle Tour 2018 and be a HERO! The Amy Foundation is a member of the NACOSA Network, however the views expressed by Amy Foundation do not reflect those of NACOSA or its funders.